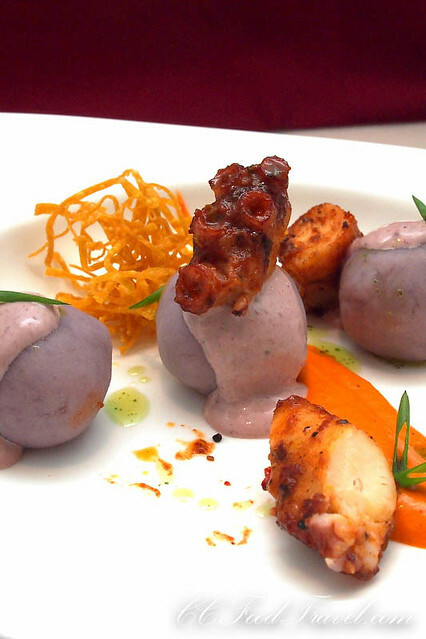 If the thought of Peruvian cuisine makes you salivate, then we have good news. 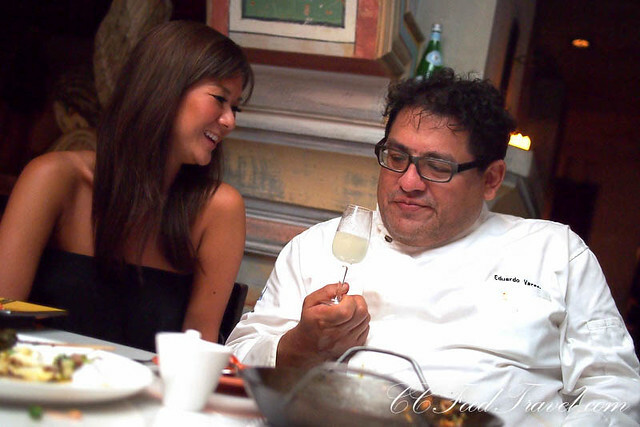 From 27 November to 7 December 2013, The Westin Kuala Lumpur invites gastronomic connoisseurs to indulge in award-winning Peruvian specialties paired with fine wines, by Shanghai’s revered celebrity star chef Eduardo Vargas. 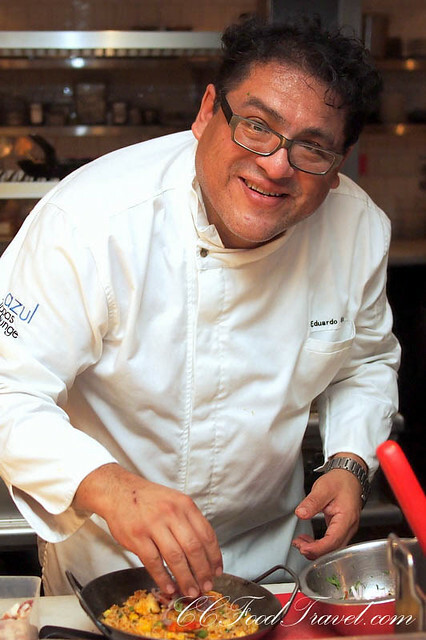 Celebrity Chef Eduardo is owner and chef at Azul Tapas, Azul Urban, Ceviche and Chicha Lounge, all of which are landmarks in Shanghai for serving amazing Peruvian specialties. 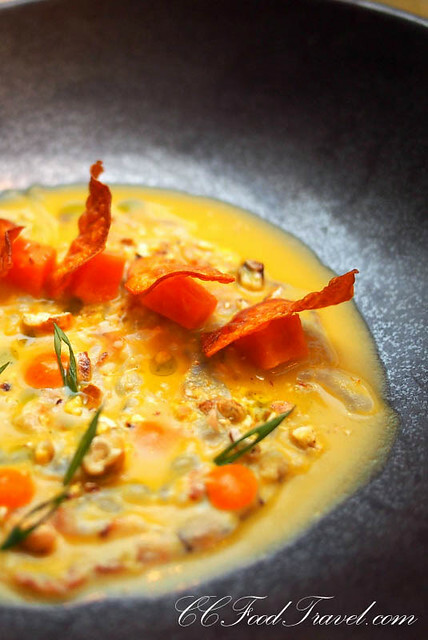 His menus offer an eclectic mix from his home land cuisine to Mediterranean, South American, Southeast Asia and European flavours. 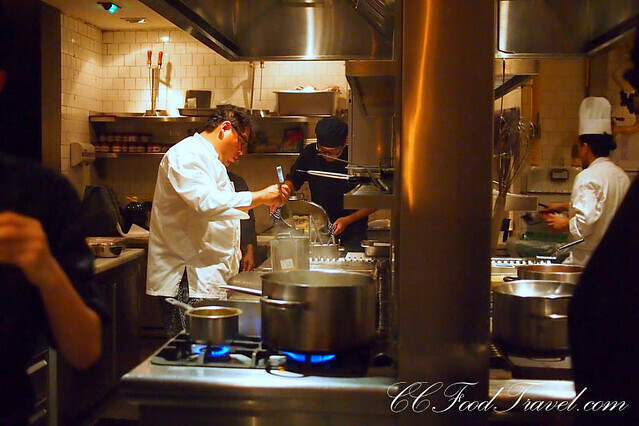 We were lucky enough to get to meet Chef Eduardo in person – a really cool guy. A man of few words, but I guess he likes to let his cooking do the talking. What is it about the interesting promotions that come to KL , being over all too soon? 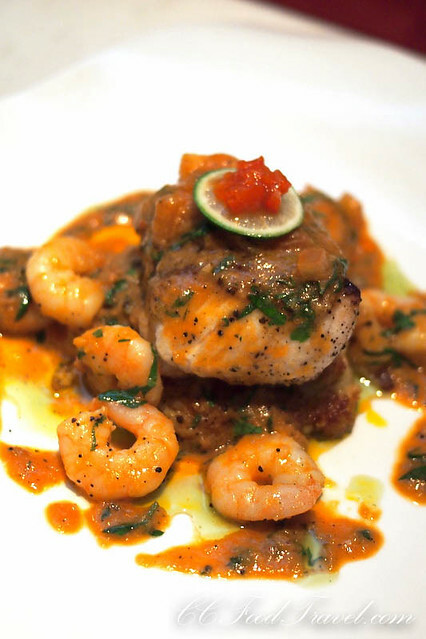 At this point only one week remains to sample the exquisite menu that’s on offer at Qba, The Westin KL. There’s the option of a five course set menu at RM 248++ per person including wine pairing, or a Five course set menu at RM 168++ per person (food only). Throughout the period, a special a la carte menu will also be available in Qba featuring signature dishes from Chef Eduardo’s restaurants. From RM32++. 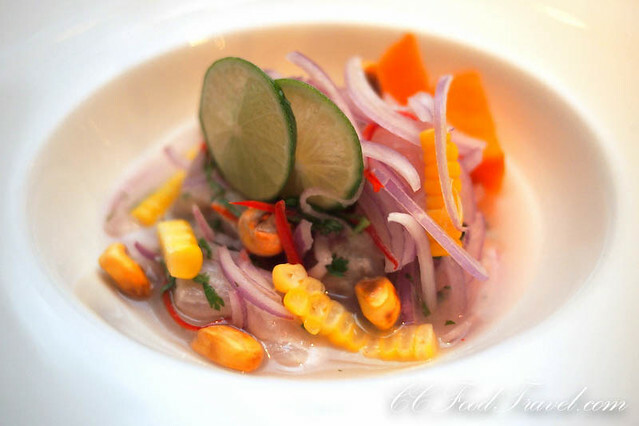 For those who cook and want to pick up some Peruvian skills, check out their Cooking Masterclass – learn the art of Peruvian cooking in a hands-on cooking class conducted by Chef Eduardo Vargas. This is on the 7 December 2013 at Qba Latin Bar & Grill, priced at RM 148++ per person and limited seats available so best be quick about it! he smiles so nicely for the camera! 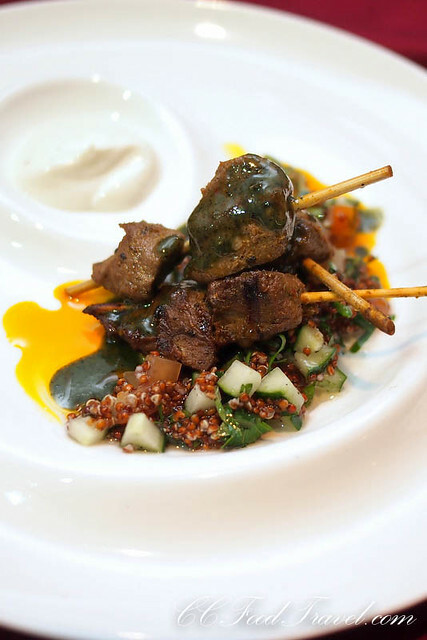 Lamb skewers on a bed of delectable yogurt sauce, red quinoa tabouleh, mint mojo… wow, mind-blowingly terrific! 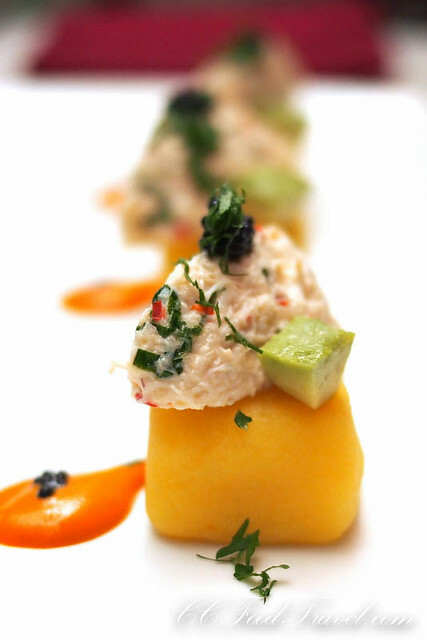 A typical peruvian chilli and potato cake with crab that makes a refreshing starter.. loved it. Again, I don’t know what it is, about the Peruvian secret sauce.. I’ve had many gratinated scallops before, but every time you eat an old favourite here, you still feel a shock of surprise at some unfathomable seasoning that makes the dish so uniquely Peruvian. 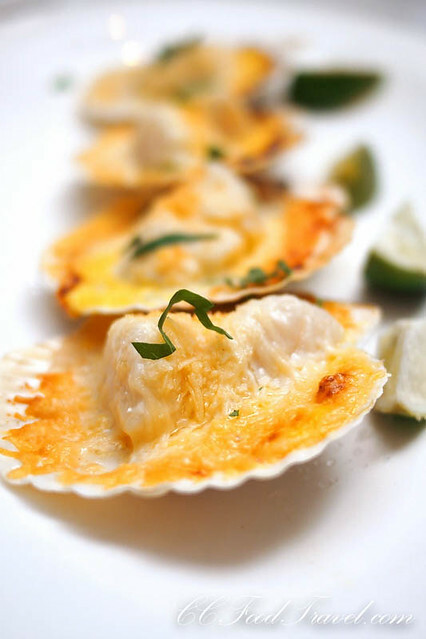 Large sea scallops that are combined with garlic, butter, parmesan cheese, and bread crumbs then baked to perfection. OMG.. this was like my all time favourite dish! 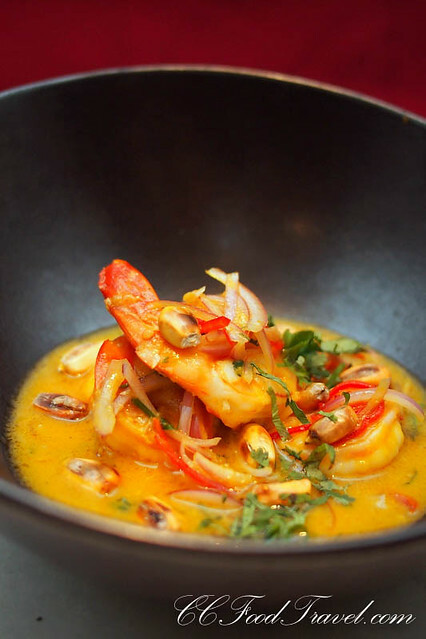 Talk about the raw freshness of prawns, mingling with citrusy explosions of that Peruvian magic sauce. 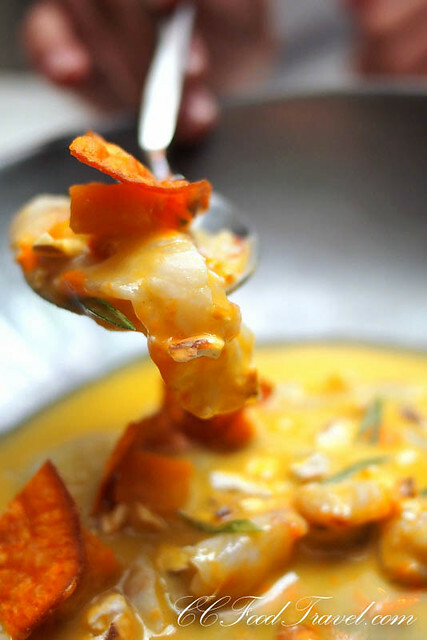 Who cares about the calories, when you have Tiradito de langostinos for company! 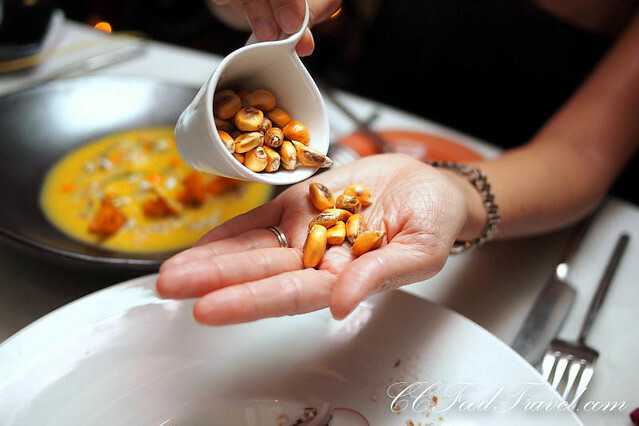 Peruvian corn – larger than life.. pan roasted to a dry, crunchy (added crushed or whole) texture, usually used as a garnish. Here we go again. 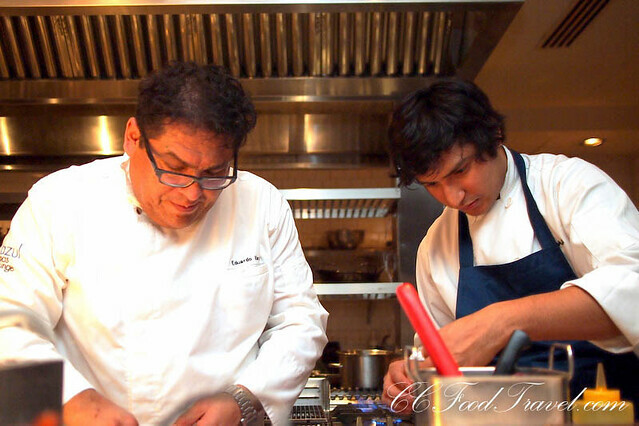 If I have a dime for every time I feel like raving about Chef Eduardo’s cooking, it would only take a day, to be a millionaire. This authentic ceviche with chilli and tiger’s milk, is made lightning-quick, super-easy and instantly refreshing.. insanely delicious. There’s always that lime base but it’s never too sour nor overpowering. The hallmarks of a pro, when you get the balance right. 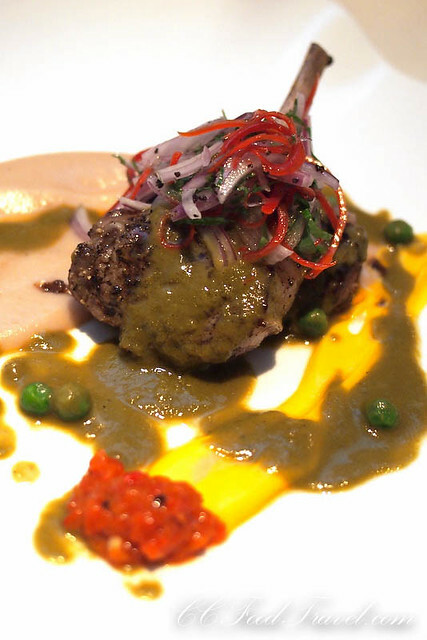 Seco de Cordero is a Peruvian lamb stew that is slow cooked in a cilantro sauce. Hearty, savory, and a little spicy. Seasoned with aji peppers, cumin, and lots of cilantro, the lamb is braised for ages till it is fall off the bone tender – apparently it tastes even better the second day. 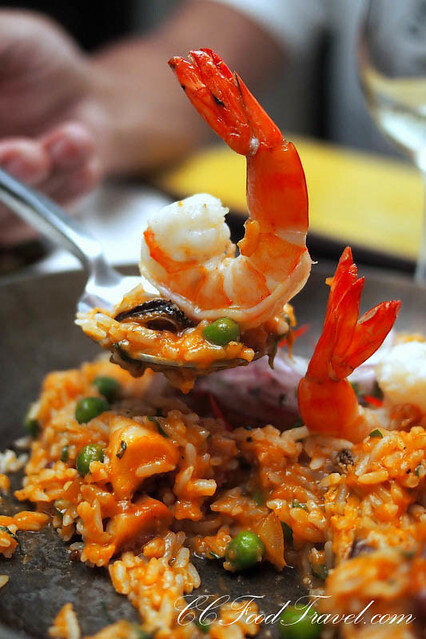 The Peruvian Chefs work hard in the kitchen, churning out tapas, mains and desserts..
prawn so fresh it stood straight ! 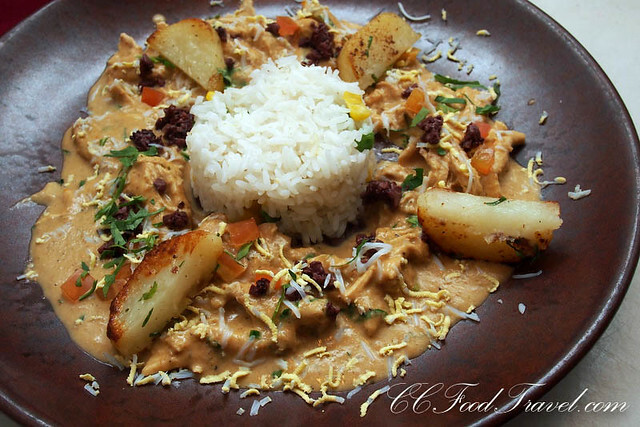 Aji de Gallina is a delicious Peruvian spicy creamed chicken gravy served over rice & potatoes. Another awesome dish but we were getting so full by now. Ah.. then desserts make and appearance. 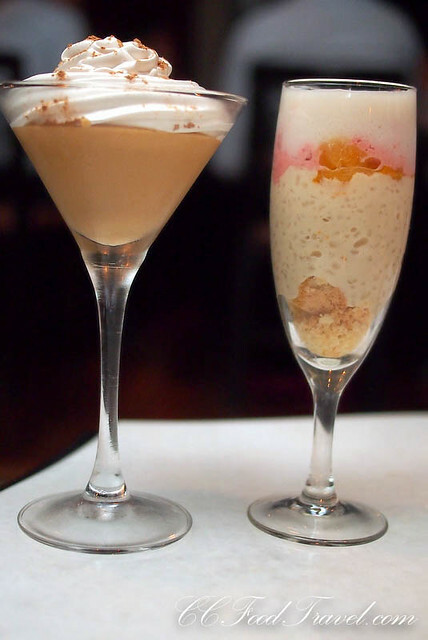 Oh boy, these Peruvian chefs can make excellent desserts too.. is there anything they can’t do? All three desserts were sufficiently decadent, but I found the first too, too sweet. 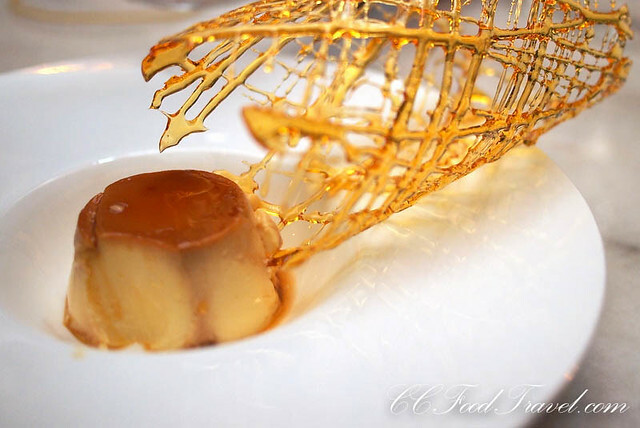 The Peruvian flan was by far my favourite. 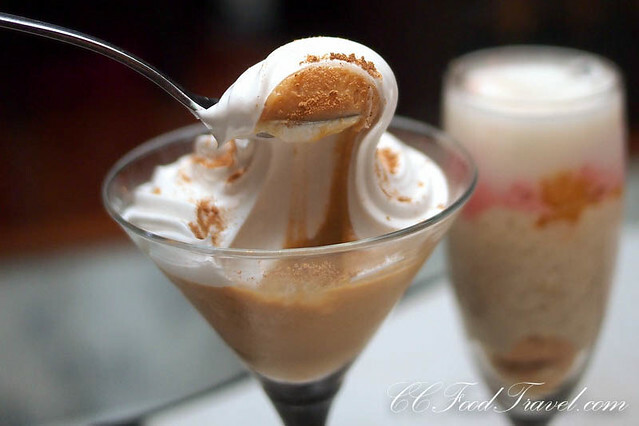 Definitely a dreamy but not-overly-sweet dessert. Gorgeous, simple and delicioso! 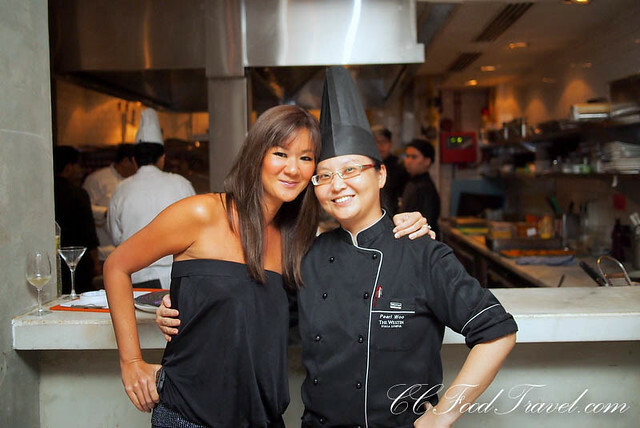 Thanks Chef Pearl Woo for hosting us and talking us through the dishes – always a pleasure to hang out with this talented woman. 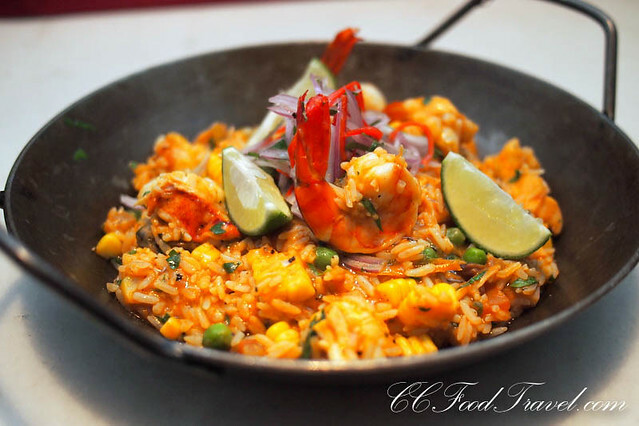 Once again, this Peruvian promotion is only around for a limited time, so best head to Qba ASAP – From 27 November to 7 December 2013, only at The Westin Kuala Lumpur! I’m salivating just thinking about Monday’s dinner. 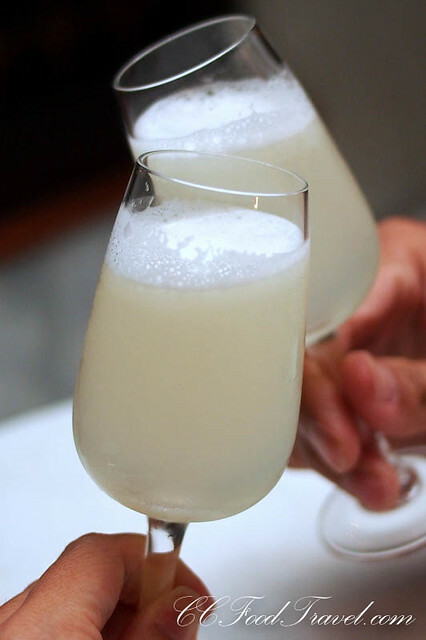 Bring on the ceviche and Pisco sours please!